because the world is alive with your praise, O God. because the world is burdened with heartbreak. because the world's blessing and burden is also in us. because no matter the circumstance, we are your children. You are our God, and we will sing your praise. Jesus, we are here; we are here for you. Participants in Today’s Service: Pastor: John Hilley; Liturgists: Kelly McConnell, Logan Teichmann; Music Director: Nate Strasser; Musicians: the Choir, Praise Band; Elder of the Day: John Philbrick. This Week in Children's Worship: This fifth Sunday in Lent, we are focusing on ways to serve and follow Jesus! Come make a footprint mosaic with us to help you remember to follow in Jesus' footsteps! This Week in UPWARDS: This month we are in the season of Lent and will focus on God's Grace. This Sunday we explore different ways to serve and follow Jesus. 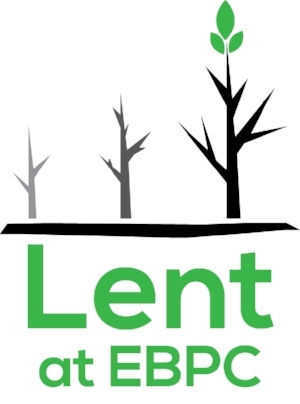 We will reflect on this Lenten season and talk about what Lent means to our own stories. We will make a heart mosaic to help us remember that love grows (and shows) from the inside out! Wednesday, 7 pm, A Community Talk: Jaco Hamman, “Faith & Phones” - Dr. Hamman is an associate professor of religion, psychology, and culture at Vanderbilt. He will discuss our relationship and addiction with technology. More importantly, he offers ways that assure personal flourishing and spiritual vitality in the face of this relationship. Holy Week is just around the corner. 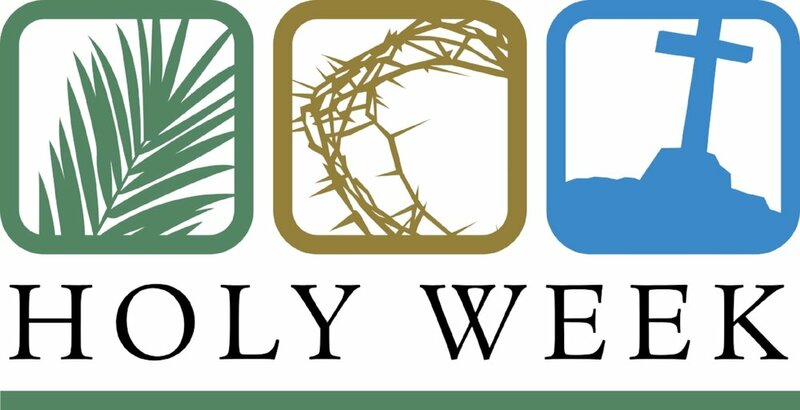 Please see our listing of Holy Week activities below. We hope you will join us for all of these services and events. 10 a.m. Our children and youth bold lead us into Holy Week as the pageantry begins. 9-9:45 a.m. Easter Egg Hunt and other children's activities, along with refreshments and family photos with the flowering cross. 10 a.m. A musically-rich worship and celebration of the Resurrection. SnapFaith – A Sunday morning Learning Circle: John Hilley leads a Sunday morning series from 9-9:45 am. Intended for people who are new to EBPC or have a long-time association, SnapFaith moves purposively incorporating visual images, Scripture, and key theological concepts from our tradition. Here’s the format: 9-9:15 gathering time for people to visit and connect. At 9:15 am the “snap” word is introduced and a visual image(s) is shown to get us started. Facilitators lead us through four prompts: 1. How do you connect to this word in your life/journey? 2. How does God's Word of Scripture connect to this word? 3. How do we view this word through a theological lens? 4. How does this word connect to our life here at EBPC and the larger world? We close at 9:45 am just in time to collect our children from Kids Music and Drama and to allow enough time to visit with friends and get into the service in time to hear the opening music of the worship service. The word for 3/25 is “Pray”. Order a lily to help decorate the sanctuary on Easter Sunday! Please place your order on or before Palm Sunday on March 25th. Please make checks payable to EBPC and write "Easter lily" on the memo line. Place form in the offering plate along with your check for $10 per plant or return your order and check to the church office on or before Palm Sunday on March 25th. Proceeds from the lilies benefit Presbyterian Women missions locally and worldwide. Easter lilies may be taken home after the worship service on Easter.